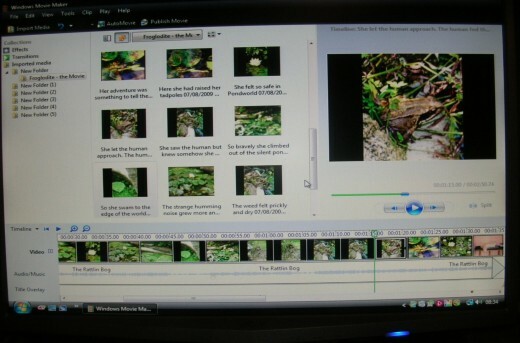 This is how to make a frog movie or make a movie with Windows Moviemaker. 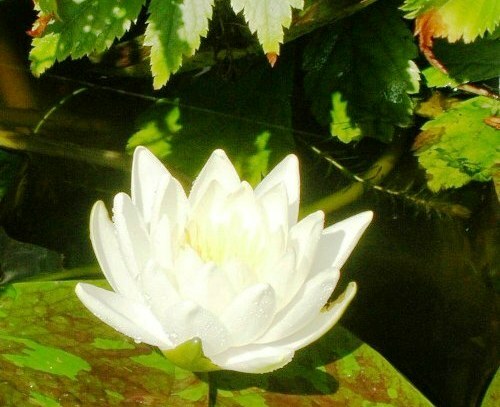 Do you enjoy the company of frogs in your pond? 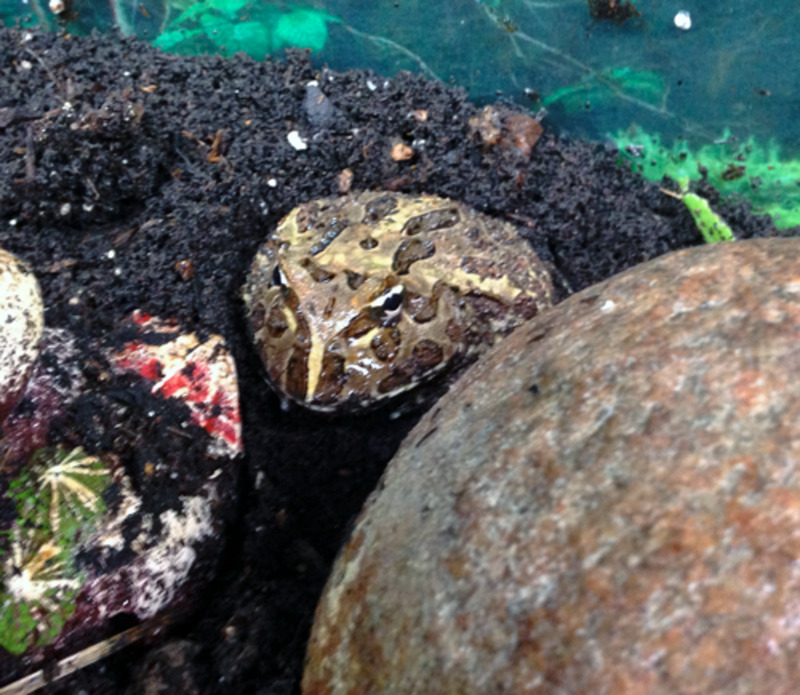 I have frogs in mine, I love frogs and made a little movie about the frogs in my pond. 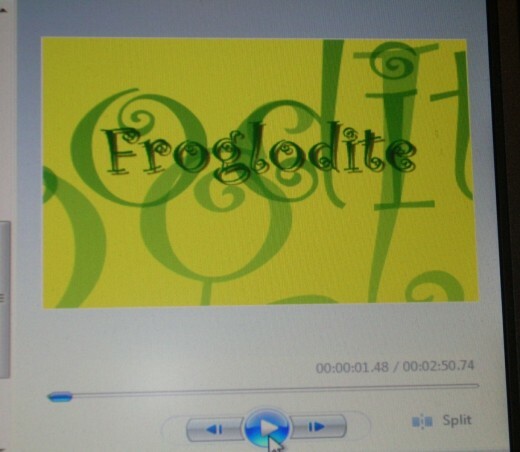 Froglodite is a home movie in its truest sense. 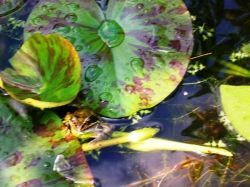 The photo images from the garden pond, the musical arrangement are all homemade. If you have never made a movie on your computer, this lens aims to show you the basics. The rest is up to you! (Frog photos are my own, please do not copy). 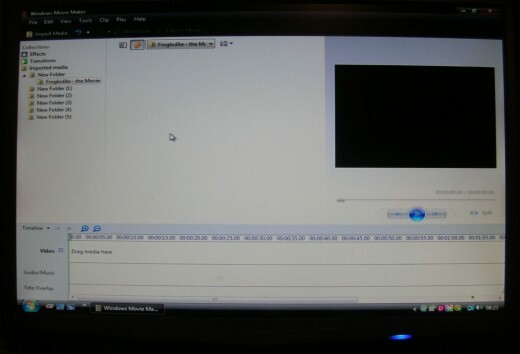 Did you know you have your own computerized movie maker in Vista? No? Neither did I! I am a musician and so I kill PCs on a regular basis. The latest addition ran Vista and it was such a headache! Programmes that cost me a lot of money would no longer run and I was cursing the difficulties. One day when I was bored and unable to access the internet I discovered Movie Maker in the programmes list. Intrigued, I puttered about with it and a day later I had my very first movie - Apres un Reve - made to showcase a Faure arrangement I had made. You will see a blank screen a little like this photo. A movie without images is really only a radio program so that's the first step. 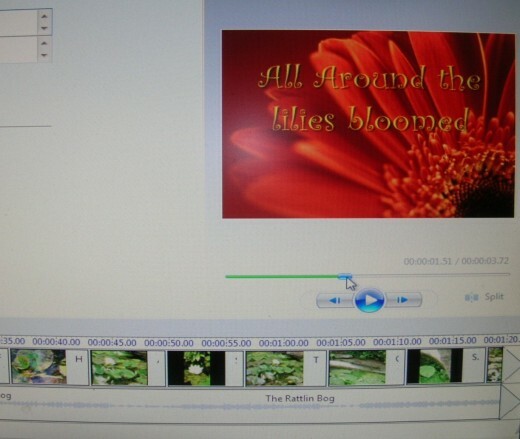 Clicking on Import Media will allow you to choose stills and movie clips for your project. You can make a movie just with stills as I did or you can mix media using home video and stills in combination. So I first imported all the stills from my Froglodite lens. 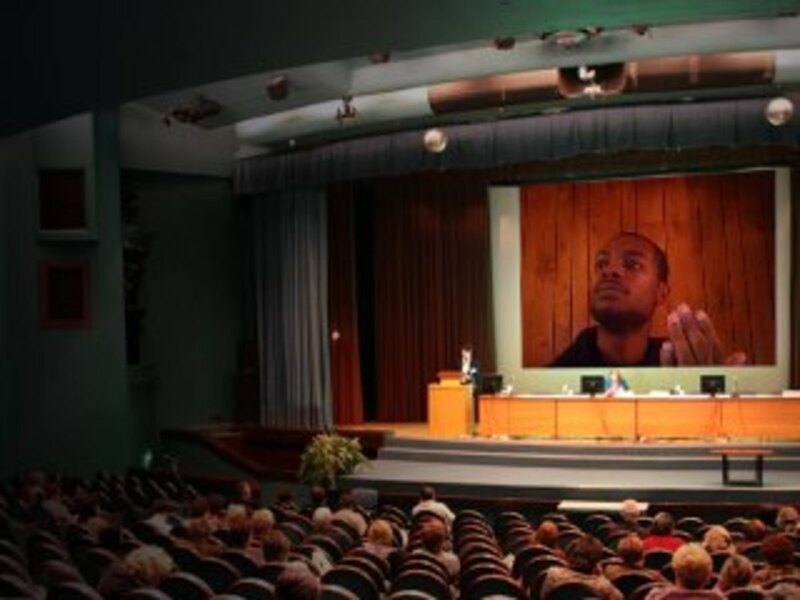 You can see them on screen, with one showing in the viewer. Most movies have a soundtrack. 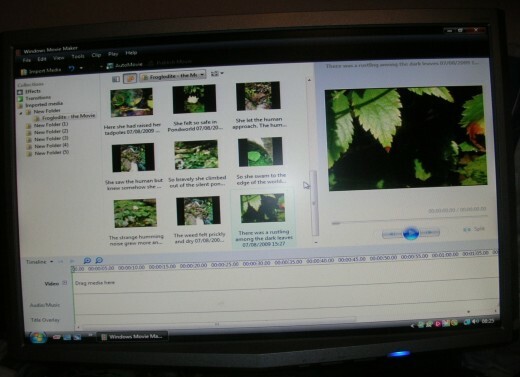 If you use home movies they will have background sounds and dialogue. Stills will not. In either case you can lift your movie by choosing music carefully. 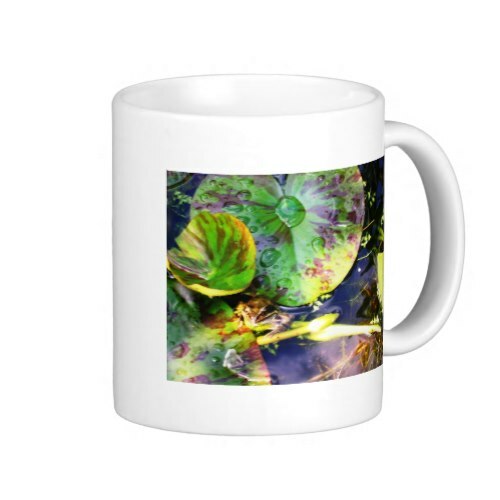 I always use my own arrangements or compositions because I am very respectful of copyright. Many people on Youtube borrow music from famous bands which is a little bit illegal! You should always ask permission before you borrow or you risk prosecution. All but one pond side cairn found empty and frogs seen swimming in the water! I always finish my movies with a trademark shot. This is Apricot sitting on my studio! She is a little bit like Alfred Hitchcock and always has to feature in the movie. However, unlike Alfred Hitchcock, she doesn't like to hide amonst the extras in the action - she likes to be in the credits waiting for her Feline Oscar! Once you have everything you need for your movie, it is a simple matter to drag and drop shots into the right sequence. Similarly you can just drag your music MP3 into the timeline underneath the pictures. You can make shots longer by dragging them out on the timeline. Under the Tools menu you will find Titles and Credits. Titles happen at the beginning, credits at the end. It is an easy matter to type your titles and credits in. You can edit the font, the size, the colour and even the animation of your titles. Here are a few useful links about cameras and movie making for those who want to take it beyond the basics. If using stills, you can use titles between, before or on shots as a kind of story board. You select the still, type in the caption, then add it when you are satisfied. 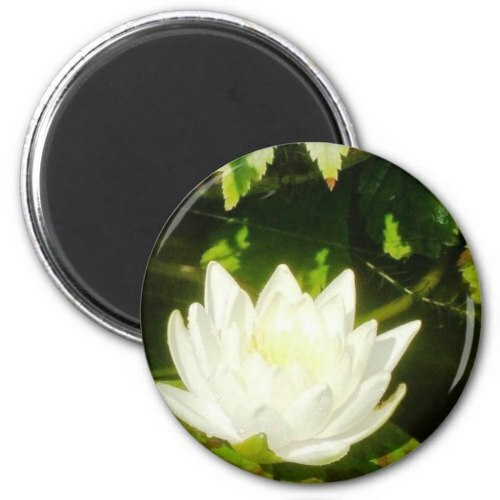 It shows up against a daisy on the viewer! People often make poetry, inspirational or spiritual movies in this way using poetry or positive thoughts and quotes with inspiring shots and peaceful music. 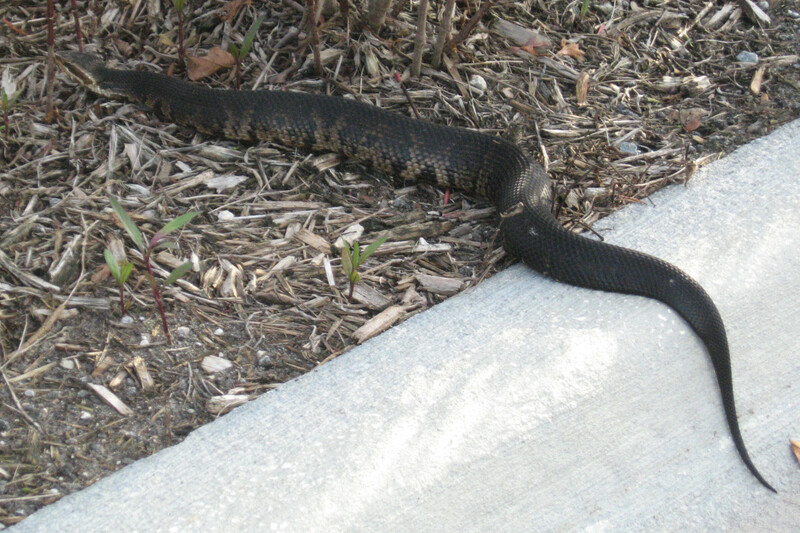 Try to make captions short and allow time for them to be read! Go to File, then click on New Project. I like to give my project a name at this point. 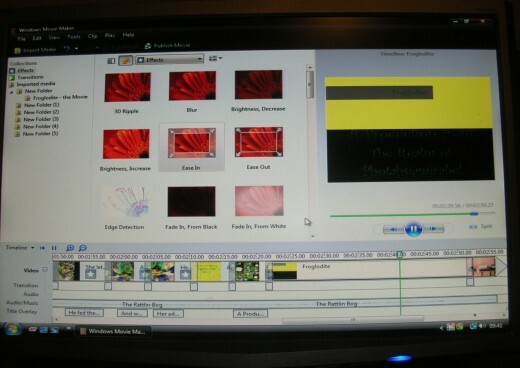 Of course, a series of stills and captions changing abruptly would not look very calming, so Movie Maker offers both Transitions and Effects. 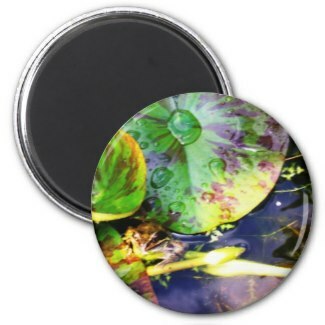 Transitions blend the shots into one another and there are many to choose from. Try to choose a small variety of transitions that fit the mood of your film. They shorten the clips, so you may have to adjust length to fit your soundtrack. This process can be lengthy until you get used to it. Effects make the stills change to simulate movement for example. Too much warping, rippling or other dramatic effects can be counter productive, so use with discretion. My first film had too many dramatic effects in. These days I use close up and pan effects more and drama less although on one of my videos I used these effects to simulate "the End of the World". Please leave a message here. We would like to hear from you! Thank you! Have you ever made a movie? - Would you like to try now you have seen Froglodite? That's a lot of fun! Thanks. At first I thought, oh rats, I don't have Vista so I won't have it. 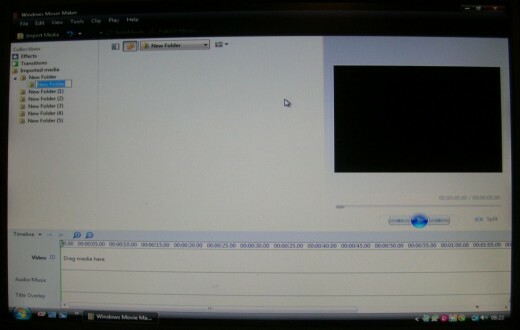 Well, I just looked and I DO have movie maker with XP. 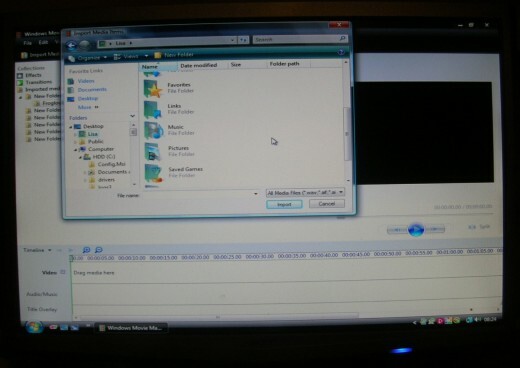 Great to know I have an editing option on videos.